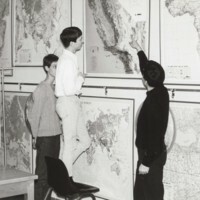 Geography professor Jack R. Villmow shows his maps to some students. 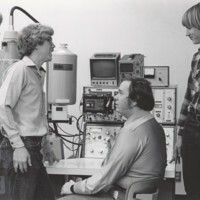 Students in Alan Grimm's chemistry class work in a laboratory. 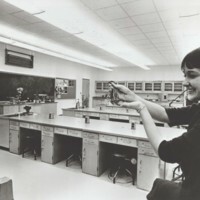 A student holds a frog in a botany laboratory. 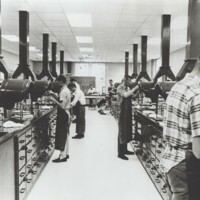 Several people working in an engineering laboratory. 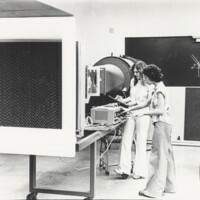 Two students working in a laboratory. 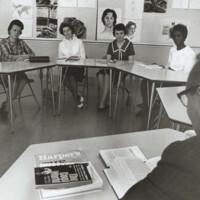 An adult education literature class taught by Professor Cornelius Golightly. 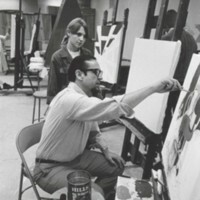 An art class at UW-Parkside. In the photograph are Rollin Jansky and Barb Robinson. 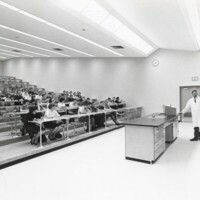 A class occurring in a lecture hall at Racine Center. 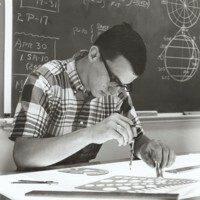 A student uses drafting tools. 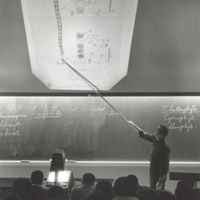 A professor teaches with an overhead projector in a lecture hall.